What is in the gelatin found in jelly, in marshmallows and jams, ice creams, yogurt, puddings and in so many other food products? Prolonged boiling of the left over goodies from meat industries like pig bones, beef skin, horns, tendons, ligaments, fish by-products – a mouthwatering mixture of edible bone glue …whipped up with a bit of modified cornstarch, a lot of sugar and a few E numbers thrown in for colour and flavour and luck. Yum yum. Delicious, just the thing to feed our kids. Dont get me wrong, pasture raised happy-meat gelatin has a host of amazing nutritional benefits, but if you are looking for something little lighter, a plant based option that is easy to use..then read on. 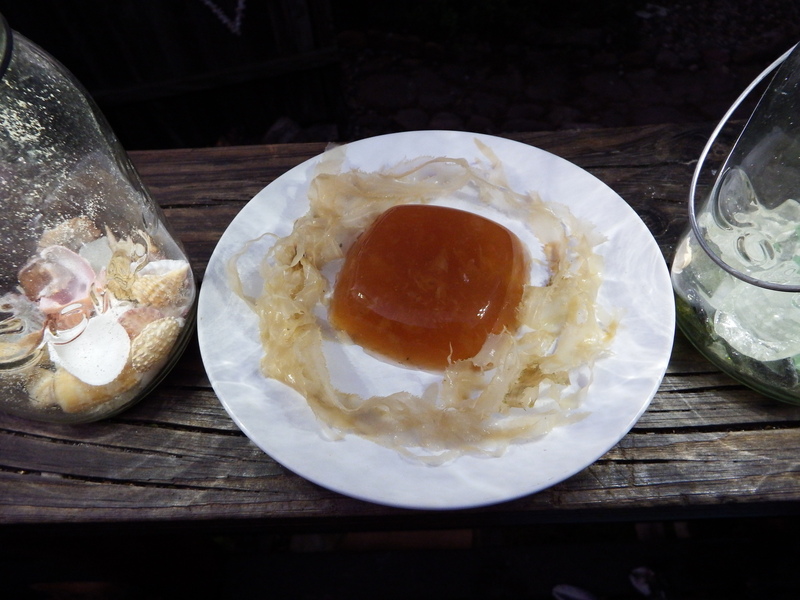 Agar agar can be obtained from different types of red algae. 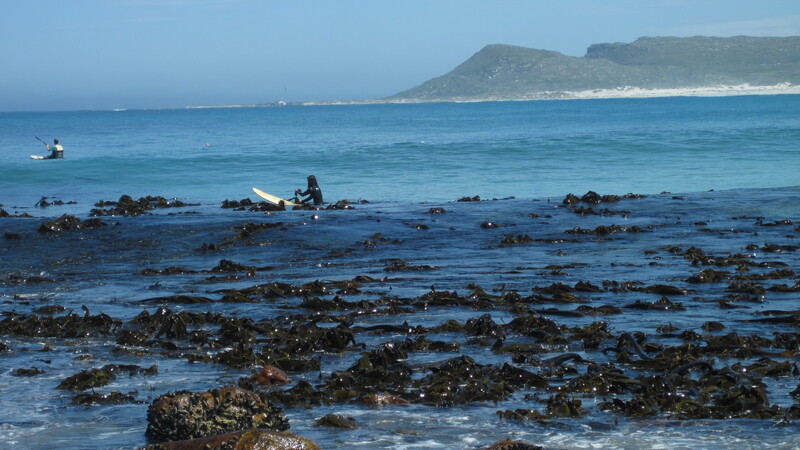 In South Africa we are lucky to have many different kinds of seaweeds that produce the agar which is used as a gelling agent in food. 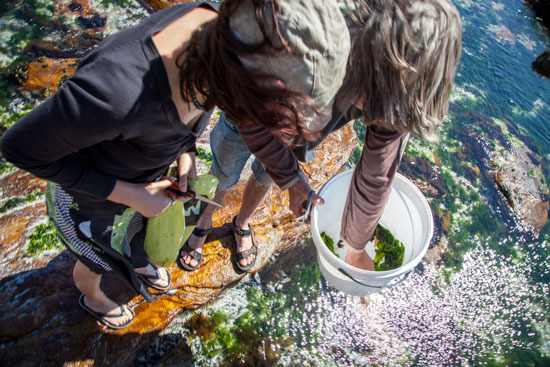 Dont forget your list of sustainable seaweed foraging rules and your mollusk permit for legal seaweed collecting. If you are not up for the whole foraging-for-jelly vibe, most health stores stock agar agar powder. 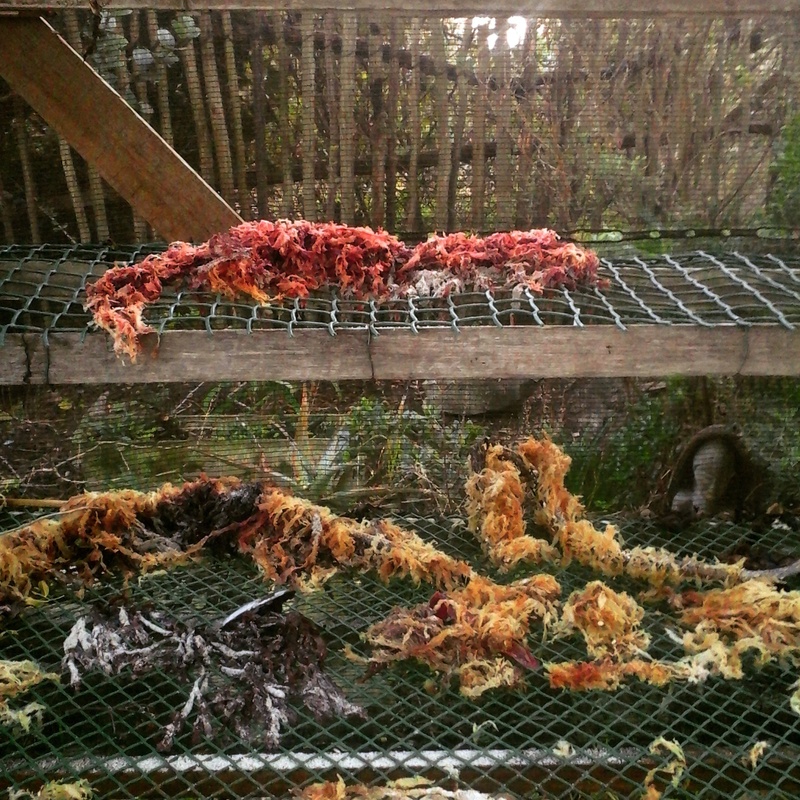 Sun dried jelly seaweed removes the vibrant red color of the seaweed, turning it translucent and flavourless, making it perfect for picking up what ever colour and taste you are wanting to come through in your agar recipes. 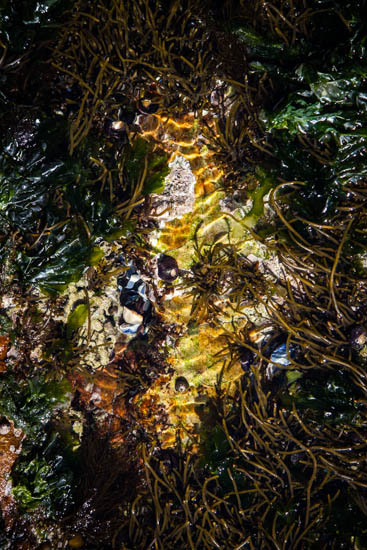 Collecting red jelly seaweed growing on kelp. 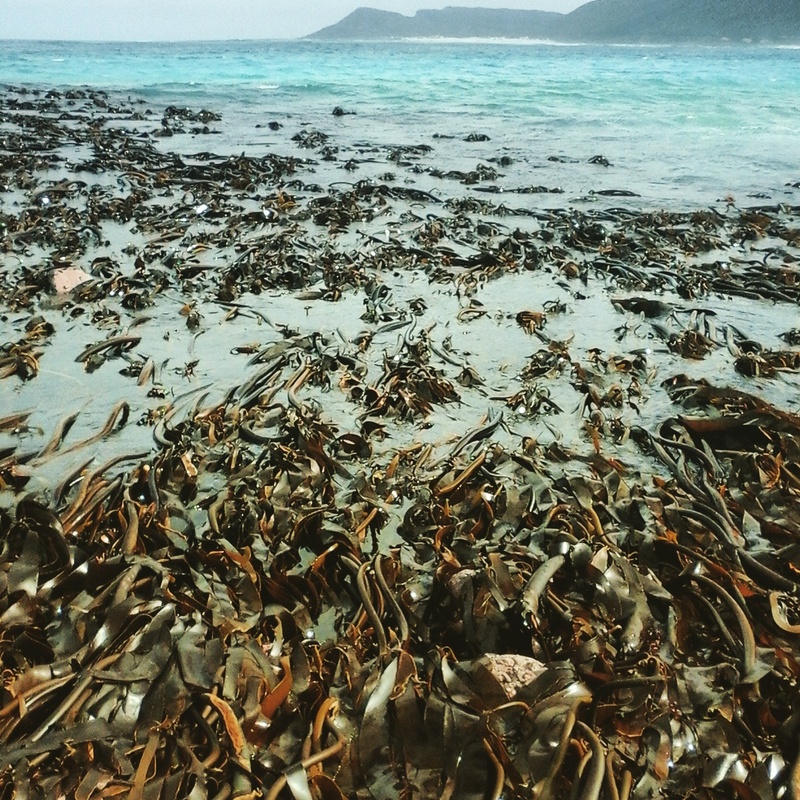 Kelp beds at low tide. 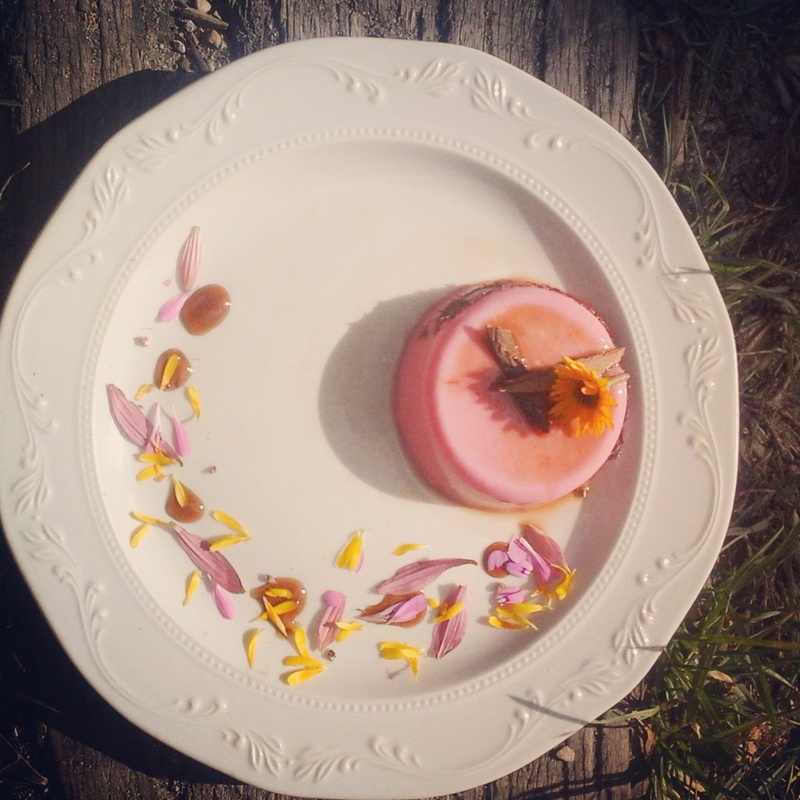 Agar agar rose, cinnamon and cardamom panna cotta. Place water, jelly seaweed/agar agar and spice in a pot over a high heat. Bring to the boil and then simmer for 20 mins. If you want a sweeter jelly, add honey. Arrange the fruit at the bottom of your bowl or mold and pour the hot jelly liquid over the fruit through a sieve to catch the seaweed and spices. Chill until set, turn out onto plates and decorate with edible flower petals. Remember that in foraging, positive identification is very important, there are poisonous species out there you do not want to be eating. It also saves a lot of wasted experiments in the kitchen with the wrong seaweed that contains no agar…believe me, I have been there!